What book would you recommend to learn test driven development? Preferrably language agnostic. Growing Object-Oriented Software, Guided by Tests by Addison-Wesley - it is about mocking frameworks - JMock and Hamcrest in particular. I read it already, it is one of the best programming books I've ever read (I personally think that it must be called Refactoring to Testability - it describes the processes for making your code testable). Because a testable code is good code. The Astels book is a solid introduction, Beck's book is good on the underlying concepts, Lasse Koskela has a newish one (Test Driven: TDD and Acceptance TDD for Java Developers). Osherove's book, as he says, is about Unit Testing, rather than TDD. I'm not sure that the Pragmatics' TDD book has aged as well as their original book. Most everything is Java or C#, but you should be able to figure it out yourself. I am looking for podcasts or videos on how to do unit testing. Ideally they should cover both the basics and more advanced topics. I do write unit tests while writing APIs and core functionalities. But I want to be the cool fanboy who eats, sleeps and breathes TDD and BDD. What's the best way to get started with TDD/BDD the right way? Any books, resources, frameworks, best practices? My environment is Java backend with Grails frontend, integrated with several external web services and databases. I've been doing TDD for a couple of years, but lately I've started looking more in to the BDD way of driving my design and development. Resources that helped me get started on BDD was first and formost Dan North's blog (the 'founder' of BDD). Take a look at Introducing BDD. There's also an 'official' BDD Wiki over at behaviour-driven.org with some good post well worth reading. The one thing that I found really hard when starting out with BDD (and still find a bit hard) is how to formulate those scenarios to make them suitable to BDD. Scott Bellware is a man well skilled in BDD (or Context-Spesification as he like to coin it) and his article Behavior-Driven Development in Code Magazine helped me a lot on understanding the BDD way of thinking and formulating user stories. I would also recomend the TekPub screencast Behavior-driven Design with Specflow by Rob Conery. A great intro to BDD and to a tool (SpecFlow) very good suited for doing BDD in C#. Test Driven Development: By Example by Kent Beck; If you're learning TDD why not get it from the source itself? A good book - easy to read, good humour and great thoughts. Clean Code: A Handbook of Agile Software Craftsmanship by Robert C. Martin; If Kent Beck describes the hows of TDD, Uncle Bob describes the whys. Why do we need to have automated unit testing? How effective is it? Do I need to keep anything in mind when designing my classes to facilitate automated unit testing? Does C# have an in-built support for automated unit testing? Can we also test GUI with automated unit testing or is it just business logic? Have heard about mocking frameworks. Are they also for unit testing? Automated unit testing is very valuable first and foremost because it is automatable (normally, we only consider it a 'unit test' when it is automatable). As the size of an application grows, manually testing the whole application may take hours or even weeks. Even testing just a small part of an application takes time and is error-prone. Unless you are autistic, you will not be able to focus on performing each manual test 100% correctly if you have to do it over and over dozens of times. In Agile development, we operate with the concept of Rapid Feedback: the sooner you can get feedback about what you did was right or wrong, the more effective you can be. We all make mistakes, but it is a lot less expensive to discover and fix a mistake thirty seconds after it was made, than several days or weeks later. That is why automated testing is so important. While you can do automated testing on many levels, unit testing is the most efficient type to implement. It may be the most difficult testing discipline to understand and master, but it is much more robust than any other type of testing. First of all, you need to learn some unit testing basics. Roy Osherove's book The Art of Unit Testing is a good introduction. When it comes to frameworks, NUnit has been around for a long time, but it has some inherent issues. If you already have Visual Studio Professional or Team System, there's a built-in unit testing framework commonly known as MSTest. Most people dislike this framework, but personally, I find it quite adequate. The IDE integration works well, but the API could be better. If you are looking for a free, open source unit testing framework, I would recommend xUnit.net, which is a much more modern framework. Yes, each class should be able to be used in isolation. This can be very hard to do by up-front design, or if you are trying to retrofit unit tests onto existing code, but should come more or less naturally if you adopt Test-Driven Development (TDD). No, C# is just a language, but as I mentioned above, certain versions of Visual Studio has MSTest. Unit testing GUI tends to be very brittle (that is, test maintainance is very high), so is generally not a good idea. However, there are many design patterns that can help you extract all GUI logic into testable classes: Modev-View-Controller, Model-View-Presenter, Application Controller, Model-View-ViewModel, etc. You can perform automated tests of an entire application via such interfaces, bypassing only the GUI rendering part. Such tests are called Subcutaneous Tests, but are considered Integration Tests, not unit tests. Dynamic mock libraries are only for unit testing. Where can I find good literature on unit testing? Book titles and links are welcome. The real challenge of software testing is solving the puzzle of test design. Testing Object-Oriented Systems: Models, Patterns, and Tools provides three dozen test design patterns applicable to unit test design. It also provides many design patterns for test automation. These patterns distill many hard-won best practices and research insights. I am looking for possibly a study between the time difference of regular coding vs coding + unit tests (not strict TDD just yet). I know the whole "Saves you time in the long run" angle, but from a project planning perspective for the team that has never done it before, I need to be able to roughly estimate how much additional time to allocate. Does such a study exist? Can anyone comment from experience? As someone who is currently working on his first project using unit tests (not full-blown TDD, but close), I would say that you should double the time it would usually take for your team to do their initial implementation. Roy Osherove's book, The Art of Unit Testing, has an informal study that shows this, but also shows that when QA cycles are included, the overall release time was slightly lower when using unit tests, and there were far fewer defects in the code developed with unit tests. Have your programmers read everything they can get on unit tests and TDD, especially anything they can find on how to design code that is test friendly (use of dependency injection, interfaces, etc.). Osherove's book would be a great start. Start evaluating unit testing frameworks (NUnit, xUnit, etc. ), and Mocking frameworks (Rhino Mocks, Moq, etc. ), and have them choose ones to standardize on. The most popular are probably NUnit and Rhino Mocks, but I chose xUnit and Moq. Don't let your programmers give up. It can be tough to change your mindset and overcome the natural resistance to change, but they need to work through that. Initially it may feel like unit tests just get in the way, but the first time they refactor sections of code on the fly and use unit tests to know they didn't break anything as opposed to hoping they didn't will be a revelation. Finally, if possible, don't start unit tests on a large, high-pressure project with a tight deadline; this would likely lead to them not overcoming their initial difficulties and ditching unit tests in favor of just getting the code done. I'm really bad at testing my own code (as a matter of fact, others point this out daily), which makes it even more difficult to maintain the project. The project itself isn't that complicated or complex, it's more the way it's built that makes it complex: we don't have predefined rules or lists to follow when doing our testing. This often results in lots of bugs and unhappy customers. We started discussing this at the office and came up with the idea of starting to use test driven development instead of the develop like hell and maybe test later (which almost always ends up being fix bugs all the time). Whats the best approach for testing the graphical user interface? I've never used Unit Testing before so this is really uncharted territory for me. Edit: I've just had a quick look through the first chapter of "The Art of Unit Testing" which is also available as a free PDF at the book's website. It'll give you a good overview of what you are trying to do with a unit test. Edit: make sure that everyone is is agreement as to what constitutes a good unit test. I'd suggest using the above overview chapter as a good starting point and if needed take it from there. Imagine having people run off enthusiastically to create lots of unit tests while having a different understanding of what a "good" unit test. It'd be terrible for you to out in the future that 25% of your unit tests aren't useful, repeatable, reliable, etc., etc..
add tests to cover small chunks of code at a time. That is, don't create a single, monolithic task to add tests for the existing code base. modify any existing processes to make sure new tests are added for any new code written. Make it a part of the review process of the code that unit tests must be provided for the new functionality. extend any existing bugfix processes to make sure that new tests are created to show presence and prove the absence of the bug. N.B. Don't forget to rollback your candidate fix to introduce the bug again to verify that it is only that single patch that has corrected the problem and it is not being fixed by a combination of factors. Edit: as you start to build up the number of your tests, start running them as nightly regression tests to check nothing has been broken by new functionality. make a successful run of all existing tests and entry criterion for the review process of a candidate bugfix. Edit: start keeping a catalogue of test types, i.e. test code fragments, to make the creation of new tests easier. No sense in reinventing the wheel all the time. The unit test(s) written to test opening a file in one part of the code base is/are going to be similar to the unit test(s) written to test code that opens a different file in a different part of the code base. Catalogue these to make them easy to find. Edit: where you are only modifying a couple of methods for an existing class, create a test suite to hold the complete set of tests for the class. Then only add the individual tests for the methods you are modifying to this test suite. This uses xUnit termonology as I'm now assuming you'll be using an xUnit framework like PHPUnit. use a standard convention for the naming of your test suites and tests, e.g. testSuite_classA which will then contain individual tests like test__test_function. For example, test_fopen_bad_name and test_fopen_bad_perms, etc. This helps minimise the noise when moving around the code base and looking at other people's tests. It also has then benefit of helping people when they come to name their tests in the first place by freeing up their mind to work on the more interesting stuff like the tests themselves. Edit: i wouldn't use TDD at this stage. By definition, TDD will need all tests present before the changes are in place so you will have failing tests all over the place as you add new testSuites to cover classes that you are working on. Instead add the new testSuite and then add the individual tests as required so you don't get a lot of noise occurring in your test results for failing tests. And, as Yishai points out, adding the task of learning TDD at this point in time will really slow you down. Put learning TDD as a task to be done when you have some spare time. It's not that difficult. as a corollary of this you'll need a tool to keep track of the those existing classes where the testSuite exists but where tests have not yet been written to cover the other member functions in the class. This way you can keep track of where your test coverage has holes. I'm talking at a high level here where you can generate a list of classes and specific member functions where no tests currently exist. A standard naming convention for the tests and testSuites will greatly help you here. I'll add more points as I think of them. You should get yourself a copy Working Effectively with Legacy Code. This will give you good guidance in how to introduce tests into code that is not written to be tested. TDD is great, but you do need to start with just putting existing code under test to make sure that changes you make don't change existing required behavior while introducing changes. However, introducing TDD now will slow you down a lot before you get back going, because retrofitting tests, even only in the area you are changing, is going to get complicated before it gets simple. On my search for a Unit-Testing tool for C# i have found xUnit.NET. Untill now, i read most of the articles on http://xunit.codeplex.com/ and even tried out the examples given at How do I use xUnit.net?. But sadly, on the offical page i could just find the basic informations to xUnit.NET. Is there any further information avadible for it? If you decide to abandon xUnit and use NUnit instead, a good book to read is "The Art of Unit Testing (with examples in .NET)". Nice clear explanations of both basic and advanced unit testing concepts, using the NUnit framework. I code for a while now and learned several programming languages. I programmed a lot of little tools and such. I think I master the act of coding itself pretty good so I have e.g. no problems with syntax, I got a pretty good understanding of what is going on under the hood (reasonable assembler knowledge) and so on. My big problem though is: I just can't design bigger/more complex applications. I learned the principles of OOP, design patterns, learned some basic lisp programming and all stuff I could find and thought it would help me with my issue. But no matter what I try, how long I try: I just can't get it right. My designs always seem wrong to me somehow. Cause of that I never drawn through a bigger project, i'm kinda never satisfied with the structure of my program. Have you had a similiar problem? How did you manage to solve it? Got you any hints for me on how to go on? Design itself is an iterative activity. You first start with a certain design and then in phases you make it better. Design is not about achiveing perfection, which can't even be achieved in larger application. Design is all about making good balances and tradeoffs that in the end provide a good, robust and maintainable application, that conforms to the requirements. You will never get it 100% right on all sides. Reading a few good books on design/architecture will not make you directly a rock star on the matter but it will certainly give you the tools that you can use to improve and perfect your skills. Of course practical experience also counts. Although there are plenty of resources, even here on SO, only two of the terms are compared to each other in these Q/A. So, in short, what is each one of them? And how they all relate to each other? Or don't they at all? Difference between mock and stub is very simple - mock can make your test fail, while stub can't. That's all there is. Additionally, you can think of stub as of something that provides values. Nowadays, fake is just a generic term for both of them (more on that later). Let's consider a case where you have to build a service that sends packages via communication protocol (exact details are irrelevant). You simply supply service with package code and it does the rest. Given the snippet below, can you identify which dependency would be a stub and which mock in potential unit test? It's fairly easy to tell that packageBuilder simply provides value and there's no possible way it could make any test fail. That's a stub. Even though it might seem more blurry, packageService is stub too. It provides a value (what we do with the value is irrelevant from stub's point of view). Of course, later we'll use that value to test whether exception is thrown, but it's still all within our control (as in, we tell stub exactly what to do and forget about it - it should have no further influence on test). It gets different with packageDistributor. Even if it provides any value, it's not consumed. Yet the call to Send seems to be pretty important part of our implementation and we'll most likely want to verify it is called. At this point we should get to a conclusion that packageDistributor is a mock. We'll have a dedicated unit test asserting that Send method was called and if for some reasons it wasn't - we want to know that, as it's important part of the entire process. Other dependencies are stubs as all they do is provide values to other, perhaps more relevant pieces of code. This is essentially what mocking frameworks do with stubs - instruct them to return configurable/explicit value. Old-school, hand-rolled stubs often do just that - return constant value. Obviously, such code doesn't make much sense, but anyone who ever done TDD surely seen bunch of such naive implementations at the early stage of class development. Iterative development that results from TDD will often help identify roles of your class' dependencies. ... please let me state that I'm not looking for a comparison. Is the learning curve for doing crazy UIs (e.g. having UI for building a BOM tree online) steep? Lots of people posting questions seem to be having problems with some UI requirement or another which has me worried. Is the technology mature enough to handle those type of requirements? Is there a pretty well developed community and how available is online literature? You can get tons of literature for WebForms. Would the time to develop it be comparable or less to building a traditional enterprise WebForms site? How long would it take to get a whole team of developers comfortable (if not enamored) with WebForms to become well versed in ASP.NET MVC? The truth of it I think is that StackOverflow is Google-like product and ASP.NET MVC might be great for that. But I'm stuck developing software in the Your company's app category. So taking a plunge could prove very costly later on if something can't be done or it has to be hacked. Hope to hear from those that have taken the plunge. About 3 months ago, I was told that I needed to develop an enterprise web-app (well, a series of small web-apps actually), but that I could choose whatever technology I wanted. Since I'm most comfortable with VS/C#/.Net, the dilemma was whether to choose ASP.NET WebForms or ASP.NET MVC2 -- Unlike you, my only background was with Windows Forms (WinForms) and a little WPF. So I had to research (and try-out) both WebForms and MVC. Just like you, I realized that my app would be neither Google nor Apple like, but your bog standard company app with thousands of buttons and boxes, etc. WebForms seemed like it would be the fastest to deploy, but hard to test and hard to maintain on a long-term basis. MVC seemed to have a much steeper learning curve, but once established, testing and maintenance would be a breeze. I only fiddled with WebForms for a week, so I can't really comment on it. But MVC is definitely everything I was expecting it to be. Overall, there seems to be a fair amount of ramp-up work in the beginning, but maintaining and extending the existing application has been pretty painless. Whenever I've been asked to make changes, it's been fairly easy and I've typically been able to deliver on-time or even sometimes ahead of schedule. I have run into some hitches deploying in the Enterprise, though. Internally, my company is running Windows Server 2003 and IIS6. Unfortunately, we have been unable to get the app to deploy properly on IIS6 when using Virtual Pathing. (All the references to and in the CSS files are broken.) If you plan on deploying MVC, I would recommend using IIS7 or higher. MVC supposedly works on IIS6, but requires that your IT department be willing to figure out how to get it to work. My personal experience has said, that, yes, the learning curve is steep for building good Models and UIs, but I'm not really a web-developer so I've been working with that handicap. The good news is that the MVC technology is pretty mature. Yes, the community is pretty well developed and growing. You'll get a lot of good answers from StackOverflow as well as MS's ASP.NET MVC sub-forum. I have no personal experience coding WebForms, but I have coded plenty of WinForms apps and I feel like it's taken me approx. 3 times longer to build this MVC app. The initial investment is a bear, but regular maintenance and improvements seem to come WAY faster, especially as the app has grown... Since you seem to have a team of programmers, it may come faster for you guys as you can probably split up the learning/workload. Again, no prior experience with WebForms, but what I can tell you is that as I was learning ASP.NET MVC, there were times when I was struggling to understand what was going on because I had no prior ASP.NET background. (Example: Membership and Role Providers -- I had to code my own recently. Boy was that fun...) On the plus side, I didn't have any "old ways of doing things" (aka. WebForms) to unlearn either. If you have a team of folks enamored with PostBack / CodeBehind, you can bet that MVC is gonna seem awfully strange at first. But hopefully your team will see the advantages that MVC brings and embraces it fully. Oh, and it should be noted that you can blend MVC and WebForms. It's not an all-or-nothing proposition. Although, if I were in your shoes, I'd try to embrace MVC as much as possible and only use WebForms where it clearly makes more sense. I just bought The Art of Unit Testing from Amazon. I'm pretty serious about understanding TDD, so rest assured that this is a genuine question. But I feel like I'm constantly on the verge of finding justification to give up on it. I'm going to play devil's advocate here and try to shoot down the purported benefits of TDD in hopes that someone can prove me wrong and help me be more confident in its virtues. I think I'm missing something, but I can't figure out what. In my experience, unit tests are not an effective way to find bugs or detect regressions. TDD is a robust way of designing software components (“units”) interactively so that their behaviour is specified through unit tests. That’s all! Makes sense. The edge cases are still always going to be there, and you're only going to find the superficial bugs -- which are the ones that you'll find as soon as you run your app anyway. You still need to do proper integration testing after you're done building a good chunk of your software. Fair enough, reducing bugs isn't the only thing TDD is supposed to help with. This is probably the big one. TDD is a design paradigm that helps you (or forces you) to make your code more composable. But composability is a multiply realizable quality; functional programming style, for instance, makes code quite composable as well. Of course, it's difficult to write a large-scale application entirely in functional style, but there are certain compromise patterns that you can follow to maintain composability. If you start with a highly modular functional design, and then carefully add state and IO to your code as necessary, you'll end up with the same patterns that TDD encourages. For instance, for executing business logic on a database, the IO code could be isolated in a function that does the "monadic" tasks of accessing the database and passing it in as an argument to the function responsible for the business logic. That would be the functional way to do it. Of course, this is a little clunky, so instead, we could throw a subset of the database IO code into a class and give that to an object containing the relevant business logic. It's the exact same thing, an adaptation of the functional way of doing things, and it's referred to as the repository pattern. I know this is probably going to earn me a pretty bad flogging, but often times, I can't help but feel like TDD just makes up for some of the bad habits that OOP can encourage -- ones that can be avoided with a little bit of inspiration from functional style. TDD is said to serve as documentation, but it only serves as documentation for peers; the consumer still requires text documentation. Of course, a TDD method could serve as the basis for sample code, but tests generally contain some degree of mocks that shouldn't be in the sample code, and are usually pretty contrived so that they can be evaluated for equality against the expected result. A good unit test will describe in its method signature the exact behavior that's being verified, and the test will verify no more and no less than that behavior. So, I'd say, your time might be better spent polishing your documentation. Heck, why not do just the documentation first thoroughly, and call it Documentation-Driven Design? It's mentioned in that post above that TDD isn't too useful for detecting regressions. That's, of course, because the non-obvious edge cases are the ones that always mess up when you change some code. What might also be to note on that topic is that chances are good that most of your code is going to remain the same for a pretty long time. So, wouldn't it make more sense to write unit tests on an as-needed basis, whenever code is changed, keeping the old code and comparing its results to the new function's? I believe the benefit of TDD is that you actually write the tests as they are more interesting when they are a goal you have to achieve, (create code to pass the tests), rather than a chore you have to do afterwards. Also, it puts you in the mind of the user. You have to think "so what does the user need my method to do" or whatever, rather than, "I hope my method has achieved what it was supposed to do". In this way, it may also help to reduce bugs. What is a good way to test this? In other words how should I describe the behavior I need? Test1 and Test2 seem vague and it would need to test a specific calculation, so it doesn't really describe what is being tested. Yet test3 is very limited. What is a good way to test such classes? There are several philosophies. Roy Osherove, author of The Art of Unit Testing, seems to prefer using explicit values, and selecting the lowest (or simplest) representation of each Equivalence Class. That principle doesn't apply itself particularly well to your example, but works really well in many other scenarios. If, for example, a class requires an input of a positive integer, you pick the number 1 because it's the simplest representation of all positive intergers. Personally, I rather prefer a principle I call Constrained Non-Determinism. The point here is that we let some kind of factory serve us anonymous variables for the given type, because it forces us to establish the relationship directly in the test. In principle, this single test provides a specification for the Calculate method. We never know what the values of int1 and int2 are, and that is very appropriate in all those many cases where it actually doesn't matter. I want to learn how to build “robust” software that is designed to test itself. In other words, how do I implement automated tests in my software ( using java or groovy or c++ ). So I want to know where to learn this (books or websites) and which tools and libraries I will need for this? I found The Art of Unit Testing by Roy Osherove to be very helpful in understanding the basics of unit testing, integeration testing, TDD and so on. It's a bit tailored for .Net languages, but it also provides very good information on the ideas behind automated testing. Look at the xUnit testing frameworks (cppUnit for C++, JUnit for Java) and check out the wonderful book xUnit Test Patterns: Refactoring Test Code. And if you really want to get into it, check out test-driven development. A good introduction is Uncle Bob's The Three Laws of TDD and the bowling game kata (see also bowling game episode). A great book on the subject is Test Driven Development: By Example. I am using an IoC container (Simple Injector) which handles the lifetime scope of objects. Membus wires up commands to command handlers, and resolves via the IoC container. The above code runs and works and the command handlers set their local variables to true. However, since Simple Injector handles the lifetime scope, I cant ask Simple Injector for an AccountCommandHandler object as it would return a new object with CreateAccountCommandWasCalled set to false. Being new to Unit Testing what would be a more robust way to test other than setting CreateAccountCommandWasCalled as a static variable? My recommendation would be to not use the IOC container in your testing at all, if possible! My rationale is that you need your test to have full control over the context of the test, and an IOC can take away some of this control. IMO, unit tests should be as focussed, small and predictable as possible! Consider sending mock objects into your class under test, instead of actual classes. If your class needs to have an internal instance of an IOC container, factor this out of the class into a "controller" of some sorts. You could accomplish this in several ways, my favourite being using a framework like Rhino Mocks. This way, you would actually stub out the "lifecycle" provided by the IOC at run time, in your test "setup". So the test should have full control (through mocking and stubbing) over when objects are created or destroyed, using a framework like Rhino. You could mock out the IOC, if this is even needed. As a side note, one of the benefits of a well designed IOC container is that it should make unit testing easier - because it should discourage classes from relying on actual "concrete instances" of classes, and encourages the use of interchangeable interfaces instead. You should try rely at run time on the IOC container providing the concrete implementations of the interfaces you've designed against. Note that it's also normally important to get clarity about what you are actually testing. Unit tests should typically focus on testing the behavior of a single method on a single class. If you're actually testing "more" than just one method on one class, for e.g. how a class interacts with other classes, it means you're most likely writing an "integration" test, not a true "unit" test. Another note: I don't claim to be an expert at unit testing! They are incredibly useful, but I still struggle with testing more than almost any other aspect of coding. For further reading, I highly recommend "The Art of Unit Testing" by Roy Osherove. There are others too. Even on the official Microsoft website the article that's an MVC TDD walkthrough is for MVC 2.0. It's starting to make me think TDD is just not practical on asp.net MVC or that it's not heavily supported. With this you will know enough to get started with Test Driven Development in MVC3. I find the concept of partitioning the statements of my unit tests as suggested in the AAA pattern useful. But I am curious, is it normal to always include these header comments? ...or is this something which I should avoid? That doesn't seem to add much value once the basic premise is understood. Since you mention C#, I suggest taking a look at The Art of Unit Testing for examples. Naming a unit test correctly is more important IMHO than arrange/act/assert comments within it. As the book points out, when a test fails, if it is named well you can often deduce the cause of a regression directly if you know what changes were made recently. In your opinion these guidelines are complete? What are your guidelines for unit tests? Please avoid specific language idioms, try to keep answers language-agnostic . There's an entire, 850 page book called xUnit Test Patterns that deal with this topic, so it's not something that can be easily boiled down to a few hard rules (although the rules you mention are good). A more digestible book that also covers this subject is The Art of Unit Testing. Use Test-Driven Development. It's the by far the most effective road towards good unit tests. Trying to retrofit unit tests unto existing code tend to be difficult at best. Keep it simple: Ideally, a unit test should be less than 10 lines of code. If it grows to much more than 20 lines of code, you should seriously consider refactoring either the test code, or the API you are testing. Keep it fast. Unit test suites are meant to be executed very frequently, so aim at keeping the entire suite under 10 s. That can easily mean keeping each test under 10 ms.
Can you recoment a book on on Unit Testing and TDD for C# with at least some treatment of Mock Objects? I have seen this question but it does not seem to mention mocking. The Art of Unit Testing: With Examples in .NET by Roy Osherove (Amazon Page, Official Site) sounds like what you're looking for. He devotes one chapter introducing the concepts of stub and mock objects (using a "roll-your-own" approach), and then a second chapter on using mock object frameworks, particularly Rhino Mocks. There is somewhat less emphasis on Test-Driven Development, but there is quite a lot of information about TDD available from other sources, and TDD isn't all that language-specific. Hello I am struggling with simple problem. How should I test shortcut method? But what about hasGotExternalDevicesAttached() method? This is only sample not real scenario. How should I test drive method? Should I also mock hasGotExternalDevicesAttached function? Can I mock class that is being tested? I would create one test for each method. If you lower the complexity then it is much easier to test. There is no need to test the last method since it calls your other methods, how ever, if that method changes (since im guessing its only a sample code) and it has more logic in it then you should have one test method for that as well. When it comes to the hasGotExternalDevicesAttached() you should create a mocker for all external io calls that you cant test. If you want to improve your skill within testing I would recommend that you read The Art of Unit Testing. This is in my opinion the best book for beginners to learn and study the art of unit testing. I am reasonably new to WPF and MVVM but I understand the basics. The problem I am having is trying to find some good resources to learn unit testing with MVVM. I am new to unit testing. Can anyone recommend some good resources whether it's blogs, videos, or even books. I would like to know what are the typical mistakes and how to avoid them? Also, I would like to know what I should read to make test driven development easier to learn and apply to my code. The single biggest issue I've faced using TDD is developers not being confident about unit testing. Poor unit testing wastes more time than it saves. Confused, untrustworthy, unmaintainable, unreadable tests fall by the wayside very quickly and jaded developers take time to want to unit test automatically again. Per Fagrell makes some good points, especially about running the tests after every change; it should become second nature to run the tests before and after any test change. I've got a test harness page with the dependent mark up and the tests run at page load very well. flow for unit tests using QUnit. However, you will have to manually have to implement test setup and teardown methods and call them in your test methods. These will help with the isolation of test cases by keeping the conditions indentical for all tests and prevent tests being dependent on the ordering of their running. Look for useful frameworks in the other languages you will be using. NUnit is very popular for .NET. Per Fagrell also makes a good point about isolation. The distinction between unit testing (testing one aspect of atom of functionality) and integration (testing how multiple atoms work together) should be thoroughly understood before beginning testing. If you have more than one assert in a test method, you are not unit testing and need to change your test method. A good naming convention from the excellent The Art Of Unit Testing for your tests is MethodUnderTest_Condition_ExpectedBehaviour e.g. Otherwise you and other developers will not bother running the tests. A common misunderstanding is the difference between the two types of fakes: stubs and mocks. A seam is created in code by abstracting functionality that code depends on into an interface. E.g. A controller doesn't depend on a concrete repository, it will depend on an IRepository. A stub then implements this IRepository and returns faked values; it is used to isolate the controller code to run in isolation. e.g. GetCustomer() will create a new customer and return that, with no calls to the real repository or any store. Stubs are never tested against. A mock is like a stub except that it can hold values which can be tested against. e.g. AddCustomer(Customer customerToBeAdded), your mock will accept that value and can be asserted against. Mocks can be tested against. Have a look at a Test Isolation Framework (or Mocking Framework), that can automatically create fakes for a given Interface. A misunderstanding of the purpose of mocks has lead to more than one developer that I have seen create a mock to test functionality and then write tests against the mocks themselves. I've mentioned The Art Of Unit Testing and I recommend it thoroughly. It is one of the books, along with Code Complete, that I would grab if the office caught fire. The project contains standard ASMX .NET webservices and a Silverlight front end. We'd prefer, if at all possible, to maintain the same test attributes throughout, rather than use one set for Silverlight tests and another for other code. Integration with VS 2008 is fairly important. We'd like to keep it all under one roof if that's feasible. We'd be happy with simply being able to kick the unit test off from VS. Automated build/checkin testing. We are currently working in a completely non-automated VS 2008/VSS 2005 environment. We are in the process of converting to SVN for source control and our corporate office will be assisting us in using MSBuild to automate the build process. We'd certainly prefer to be able to integrate into this environment as much as possible. I'm not certain as to the details of this process as yet since I'm not directly involved. If there is more detail that you need on this, please let me know and I'll see what I can find out. At this point, my collegue and I are looking at NUnit (along with possble Silverlight options) and MSTest in conjunction with the Silverlight Testing Framework that Jeff Wilcox wrote. While the corpoarate standard is NUnit, they are open to other options as there aren't any other teams doing Silverlight work. I'm about halfway through Roy Osherove's Unit Testing Book, so I'm getting a feel for writing tests in general. I'm not married to a particular framework, but corporate seems to be most open to NUnit or MSTest. I'd also like to get my hands on a good tutorial of MSTest, if possible. Thanks for taking the time. If you need any other info from me, feel free to ask. Tread carefully, and make sure to experience these possibilities first. It's easiest to know what you're looking at by writing a few tests in each, and figure out what your workflow will be. The Silverlight unit test systems out there are less mature than the officially shipped, full-fledged test frameworks for the desktop .NET environment, so your experience may vary. Understand that the Silverlight test solutions in place today (that actually run inside of a web browser) exist to specifically help folks get coverage of their code and components within the context of the Silverlight platform, and not necessarily for rapid, or easy, test-driven development and testing that you can get through the integrated Visual Studio tools. The sandboxed security model for Silverlight makes many of the standard testing tools you may expect much more difficult. It's also a different platform, really, so it may not make sense to perform every kind of test (example: a "load test" for a web app... you can "stress" a Silverlight app, or look into its "performance", but a "load test" is about stressing your machine that hosts the .XAP file, and is not very interesting for Silverlight apps specifically). If you're more concerned about testing your business logic and having nice integration, strongly consider writing mockable/IoC code enough that you may be able to develop most of your app and test a version of it built as a regular desktop .NET class library ~ you could then have a subset of tests that are Silverlight in-browser only. Are you actually going to be testing the web service calls with your tests? This sort of integration/client + server testing can be very, very difficult to do properly between Silverlight client code and a web service. You won't get much integration with Visual Studio 2008's IDE for the Silverlight unit test framework. You can have a Silverlight test project / app that you can press F5 to open, and debug, in Visual Studio and run the tests. However, you won't have right-click "Run All Tests" or test case management tools working. I'm looking for a good introduction/tutorial for unit testing C#. Most tutorials I've come across so far have either been too basic to be useful or too complex for someone new to unit testing. Read The Art of Unit Testing by Roy Osherove. It is very good. 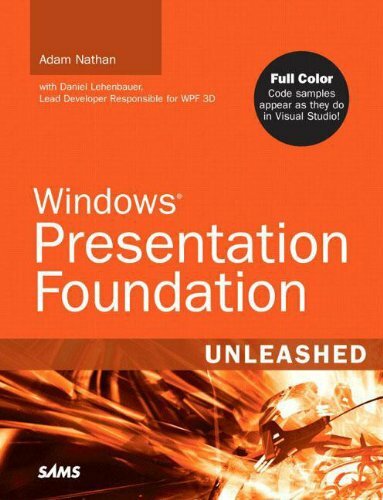 What .net/c# focused books are there that teach how to develop applications using SOLID principles, unit testing, IoC, etc? I've watched a few videos on the SOLID principles, but I'd love to learn more about it and in detail on how to go about designing larger scale applications etc. Robert Martin - it is a person who introduced SOLID principles. I have read/watched so much about TDD & BDD recently that I really want to master it. I have been a developer that only writes code and then tests it from outside (like we always started). The problem seems to be in getting up and running with TDD. I want to just create a simple Winform app in which I want to show a list of something lets say products. I just don't know where to get started, should I write a test for controller first? the controller needs reference to view and service and so on so forth. ASP.Net MVC is built for testing therefore it is a bit easy to get started but Winforms are a real pain. Kindly give me some Videos (Most preffered) that show TDD in Winforms. I have watched tons of videos that show you testing a class or feature but how do you test UI that does not support testing? In short I want to know if anyone has been doing TDD for a while, how does he/she do it in Winforms? I have written loads of code that I just delete because I get stuck, Please help! Check out Roy Osherove's website, and also his book "The Art of Unit Testing". Check out the videos, there are some great ones, especially the "Pair Programming" section. His book was the single best book that I've read about unit testing and TDD, and the only one that I've read from cover to cover. Check out some TDD katas. There are some on the web page I've suggested in the previous item. Check out how other people are solving the katas. It's really helpful. If you want to TDD in WinForms, check out the MVP pattern. As far as I know, it's the de facto patten for separating UI from business code in WinForms. I need to write a unit test for a method where I arrange data according to another default list. Please help I am new in unit testing and this is not easy for me. I've set up a test database to begin unit-testing an app that I've recently been added to. It is a 3-tier design (presentation layer, BOL and DAL) and this is my first time writing unit tests. I've decided to start at the BOL and I figure the best way is to swap out the ConnectionString (which has been passed along as a Shared String) with one that points to my new test database. However, I don't wish to change any production code. I simply wish to somehow redirect the app to the test database during unit tests. How might I go about accomplishing this? As you will probably soon learn anyway, static/Shared code is considered evil in unit testing, for a number of reasons. One of these reasons is that it is difficult to change the values during unit testing. It is a much better idea to pass your Dependencies explicitly to your System Under Test (SUT) - preferably in the constructor. In your case, you should pass the connection string to the SUT via its constructor. An even better approach would be to abstract away the Data Access Layer behind an interface and pass an instance of that interface to the SUT. I've written a bit about Imperative Configuration, but in general, you should read Roy Osherove's book The Art of Unit Testing - it deals with a lot of these issues. Sometimes when you deal with legacy code you find it hard to break the dependencies. One of the solutions that some unit-testing gurus (e.g. Roy Osherove in The Art of Unit Testing or Michael Feathers in Working Effectively with Legacy Code) propose is to use the "Subclass and override" technique. The idea of this technique is to encapsulate the usage of dependency in protected method and then test the extended class with that method overridden with method that uses fake dependency. However the latter two techniques are considered to be anti-patterns (you don't mock what you are testing). But, to me, all three techniques are using the same idea. Is the "Subclass and override" technique also considered an anti-pattern and if not, why? The phrase "you don't mock what you are testing" seems to be confusing so I should probably explain myself. Though only one method of the class is mocked, AFAIK, the fact of mocking the part of the class under test is considered to be bad practice because it breaks encapsulation and exposes implementation details to the test. I don't understand your comment about those two more techniques. You mock method because it is dependent on something you don't wan't in your test. You are not testing it. You are testing the rest of the code and this method (before it is mocked) prevents you from doing it. Can anyone tell me what is NUnit in .NET and how to use it? I have heard that using this tools improves design of an application. Is it true? Where can I get an absolute beginners tutorial on this topic? NUnit is a framework for conducting unit testing. If you're not familiar with unit testing, "Test Infected" may be a good introduction for you. It's about jUnit (Java) rather than NUnit, but I don't think that should be too much of a problem for you. There are lots of books on unit testing - Roy Osherove's "The art of unit testing" comes pretty highly recommended. Hi I just started to read The Art of Unit Testing: With Examples in .Net in order to understand what unit testing is and how to properly code unit tests. System.BadImageFormatException : Could not load file or assembly 'LogAnalyzer, Version=1.0.0.0, Culture=neutral, PublicKeyToken=null' or one of its dependencies. An attempt was made to load a program with an incorrect format. I managed to find a solution to my curent problem aldo I do no fully understand why this works.In the folder where NUnit is installed there is an x86 version of the program and for some reason this one works. I am not sure what I should be doing here. Should I be hardcoding all the values in or should I have them in a CONST variables. Everything I seen seems to hard code the values in so I am not sure. Like this is what I was doing now. Say in my controller I had a validation test to check if the user tries to submit a form with a blank field. Now I would have a if statement checking for blank or null variable. If this happened then I would add the error to the ModelState with an error message that I wrote. so in my unit test I want to make sure that if a blank form variable is submitted that it gets caught. now in my unit testing I just made a CONST varible and copied in and pasted the validation message in. So in my assert I compare what the actual message is compared to the message stored in my CONST Varrible. I do this by calling like the Model state and call the field up where I expect the error to be. So if the message is there then it must have gone into my code otherwise it would not exist. So it occurred to me maybe I should make a new class that will be static and hold all these CONST variables. That way both the controller views and the unit tests can use them. That way if I got to change the error message then I only need to change it one place. Since I am not testing what the error message is I am testing if it gets set. The same thing say for exceptions I have some custom messages but I am not testing if the message is right, more if the expection got caught. The way I am testing it though is to see if the message is the message that I expect since if it is not the message or the message does not exist then something went wrong. I am new to unit testing so I wanted to make sure that what I am going to do won't some how screw up my unit tests. To me it makes sense but I thought better check first. It's important to write each test in a way that is robust to subsequent change. You will often need to change parts of your application at a later date, and each time you do that, there's a risk that you will break one of more of your tests. If your tests are robust to change, a failing test will truly indicate a regression bug. However, if your tests are what's called Overspecified Tests, every little change you make in your code base may cause tests to fail - not because there was a regression bug, but because the test is too brittle. When this happens, you lose faith in your tests; test maintainance takes a lot of time, and you'll eventually end up abandoning the test suite altogether. As I read your question, you are already beginning to see the contours of this anti-pattern. I assume that is why you don't test for the specific texts returned, but merely whether they are being set at all. I think this is correct - I rarely test for specific strings, but rather whether a string is specified at all. This makes the test more robust to change, and you avoid the Overspecified Test anti-pattern. In many cases, instead of doing an Assert.AreEqual on two strings, you can just use Assert.IsNotNull, or perhaps Assert.IsFalse(string.IsNullOrEmpty(result)) (your platform seems to be .NET). In the above code I am not sure what I need to mock. The code above compiles but fails in the NUnit GUI about a contructor value. I can only assume it has to do with the INewsRepository paramter that I need to supply to NewsRepository. I don't know how to do this in the test. Can someone please rectify my unit test so that it will pass in the NUnit GUI? Can someone also provide some feedback on if I am implementing my repositories correctly? Being a newbie to mocking, is there anything that I need to verify? When would I need to verify? What is its purpose? I have been working through a couple of source code projects and some use verify and some don't. If the above test passes, what does this prove to me as developer? What does another developer have to do to my repository to make it fail in the NUnit GUI? I hope soomeone can help me out. As Steven has said, you're Asserting against the Mock NewsRepository in the above code. The idea of mocking is to isolate the Code Under Test and to create fakes to replace their dependencies. You use the Mock NewsRepository to test something that uses INewsRepository, in your case, you mention NewsService; NewsService will use your mock of INewsRepository. If you search your solution for anything that uses INewsRepository.FindAll(), you will create a Mock Repository to test that code in isolation. If you want to test something that calls your Service layer, you will need to mock NewsService. Once you have functionality in your FindAll() method that needs testing, you can mock the objects that they use. As a point of style from the great Art Of Unit Testing initialisation of mock objects is best left out of the Setup method and carried out in a helper method called at the start of the method. Since the call to Setup will be invisible and makes the initalisation of the mock unclear. I hope this makes the approach clearer. I'm brand new to unit testing, and I'm using the VS 2010 unit testing framework. When the function under case 1 gets called, the first thing that happens is the string "Enter Account Number: " gets written to the console. However, this isn't working at all. Am I not passing input to the console correctly? Thanks for the help! it's not right approach. You shouldn't communicate with Console in unit tests. Just extract your function which works with input parameters and test this function. And one more thing: it's better to move you strings ("Enter Account Number" etc) to one place (fro example to some Constants class). Don't repeat yourself! This is the first time that I write a TestMethod. Am I using Unit Testing correctly ? int id = 21; // Target account to update. // But in the propertiesToUpdate parameter (last one) only Name value is passed. // Returning the old name to the record. // Update the name only because it's passed by propertiesToUpdate parameter (last one). You should get a copy of The art of unit testing. Only one Assert per test. How can I mock the interface below? In the above code I wrote a test method (which would work with MSTest). Basically you first need to prepare your mocked object and setup any method which you expect your methods to call. It can be pretty strange to program with mocking tools at the beginning, but once you get a hang of it you will see how valuable it can be. You should first try to understand unit testing and then you will have a better picture about mocking API's. For that I would suggest you have a look at The Art of Unit Testing by Roy Osherove. I am beginner of unit testing so I want to ask what kind of function/method we can use as unit testing object. I want unit test sharepoint code which written on C#. By the way, I don't ask about unit testing framework. I want to know that what kind of function I can use as unit test object. // function that return a value. => which one of them can use as unit testing object. Your question is really vague. If you're asking about unit testing techniques, get a book. Perhaps this or this. If you're wanting to test code that calls SharePoint objects, you have to talk about tools. You have to fake these out using either Typemock Isolator or Moles. The SharePoint object model is full of concrete, non-inheritable objects. I'm a new guy to unit testing in .NET and I want to start with NUnit. I'm using ASP.NET MVC 4 for creating my project. Where can I start to learning NUnit? Can you suggest me some tutorials please? NOTE: I have some experiences with unit testing in RoR. You can learn NUnit using Osherove's tutorial and book. Or something called unit testing kata. Read Art Of Unit Testing by Roy. Good read. I'm not familiar with mocking. I'd like test if my method GetById return me an object User with an Id. Below the code, I'd like test if the GetById(10) return me an User with id = 10. I set the moq (I hope it's correct) but how execute the moq ? // TODO: prepare/mock database. That's whole another story. p.s. Could be useful to take a look at moq tutorial and The Art of Unit Testing book, Part 2 - Core techniques(page 47) - stubs, mocks, etc. I'm sorry if this appears elsewhere, it may be that my Google-Fu is failing me. I'm in the process of reading Roy Osherove's The Art of Unit Testing and am thrilled to be able to start doing some Test-First work on my current project. Roy's book uses NUnit as the basis for it's training. I find myself in the position of needing to use MSTEst in VS 2008 Pro along with the Silverlight Unit Test Framework to do our testing. Can anyone point me to a good tutorials and references entries for using both of these tools? AFAIK, the test class attributes for MSTest are identical to that of NUnit. You should be able to use Osherove's book as a guide without too much impedance mismatch. // so after the loop the variable _moduleInfo count = 9 // next Test that runs however the variable is empty - so when it leaves the closure it gets reset somehow - how might I preserve this value between tests? This is how the array is defined. There's no [Setup] or [TearDown] being used. There is a second unit test that is simply an attempt to read the value created by the loop. So MyFunction() test passes fine, but once it exits the closure the variable is gone. Don't know which Testing Framework you are using but in in NUnit there are methods, that can have the attribute [Setup] and [TearDown]. Maybe one of these functions resets the list? Nevertheless this is a very bad design for unit tests. By this way you design a coupling between two test. So you can never run the second test without running the first test and how do you ensure in which order tests are run? So instead write some utility function that fills up _moduleInfo within each test with some stubs that are containing the expected values. 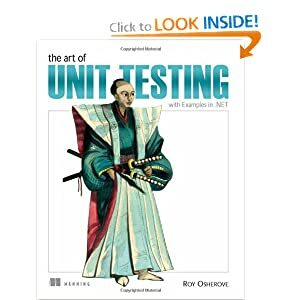 A very good source about how to do testing is the book The Art of Unit Testing: With Examples in .Net. I've always been told that unit tests are supposed to be implementation independent. This makes perfect sense to me - if the implementation of a function changes, it should still meet its API contract and thus the unit tests shouldn't need to be changed. However, this seems to conflict with the idea of mocking. If I need to mock external dependencies, this immediately makes my tests dependent on my implementation. If I were to use different dependencies, I'd have to change the mock code in my unit tests. Is it impractical/unreasonable to make all unit tests entirely implementation independent? I'm not sure if I understand you correctly but I try my best. Let say you write unit test for class PrepaidPointManager. It has method void Recharge(int points) which recharge users point account. During implementation of this class you decided that it should depends on some ICreditCardProvider (because you want to exchange cash for points) and also depends on IPointRepository because you want to persist new points balance in some storage. Recharge method make some calculation before using credit card provider and before storing balance. When you write unit test for this class (which is your concrete implementation) you don't want to drag to your test any specific implementation of CreditCardProvider(maybe because it will require internet connection and is slow). The same story is with PointRepository. For these dependencies you create stubs/mocks (ICreditCardProvider and IPointRepository) and next inject them to PrepaidPointManager. Right now your test is independent from implementation details of dependencies(ICreditCardProvider, IPointRepository). That is how I understand term implementation independent from your question. Of course if you decide that PrepaidPointManager should have other dependencies then unit test code also need to change. In well designed system you write code against abstraction and when you really need to change dependencies of some class then this change will affect only small amount of tests. I just want to test if when I recharge points then credit card provider is used. If you want test implementation of concrete CreditCardProvider then simply create new set of test for this purpose. I've been reading a lot lately about RSpec, Shoulda, Cucumber, Test::Unit, FactoryGirl, Fixtures etc. etc. But I'm still confused as to what kind of testing each of them is used for. The kinds of testing for Model, Controller, View, Helper. I don't know where to begin. Could someone help give an "ordering" to the way I should start? For example, should I learn Test::Unit, then RSpec then Cucumber? I'd suggest you to read 'The Art of Unit Testing', by Roy Osherove. I strongly recommend you to read Parts 1 and 4. Although focused on Unit Testing (duh) there are some well-explained concepts that really helped me to understand better the world of testing. It's not a complicated / boring book, I enjoyed reading it even without any previous testing knowledge. Hope you enjoy it too. Maybe my question will sound silly to someone, but anyway: why we need to test fake code? I read this book and I can not understand why we need to test units which we initialize by ourself including returning values and e.t.c. If I use fake object it will always return what I want to (if I use AAA pattern) and if logic of my real code will change and will be wrong, unit test with mock or stub don`t show that. Am I wrong? Or unit-tests need only to documenting how need to work with classes or libraries? Here you test the behavior of ObjectUnderTest which needs some other objects to work. The latter objects are not subject to the current test, and so are mocked for this test instance. I have been reading the related topics on the web including this site. But I cannot find one with lots of code to explain the subject in question. I have been practicing TDD and unit testing for a while. I want to find out what should be and should not be unit tested in terms of class level, method level. For example, should I test everything (what is integration test for)? Within a target method, which lines of code should I unit-test? Are there any good principles, and practices on this area, or good reading materials with lots of code sample to illustrate. The topic here is concerned with server side language, e.g. C#, Java. Broadly speaking, unit testing should be white-box testing, in integration testing should be black-box. That is to say, a unit test should rely on the inner workings of a unit of code, usually a method. As a developer you would inspect the possible paths of execution through the method and create a test case for each one. A unit test should also test the method in isolation. Any collaborators or input and output should be mocked, such that only the method under test is being executed by the unit test. This method has no if statements in it, but it has three paths of execution. In this case, thinking about these paths of execution and writing unit tests to cover those cases helps you to think about what problems there might be with the method. A test where the path of execution visits several units of code would be an integration test. You would run the test in terms of the overall inputs and outputs. You don't care how it works, just that it works. Personally I would create unit tests based on my own knowledge of the code base, and for each method individually. I would create integration tests based on specifications and individual acceptance criteria from the requirements. Pragmatic Unit Testing isn't the best in the Pragamatic series and the nunit techiques were pretty lightweight and dated when I read it years ago. BUT it's cheap enough and covers principles and practices. Art of Unit Testing is also a worthwhile read. I need to write a use cases to test the asp.net mvc applicatoin. How can I do that?